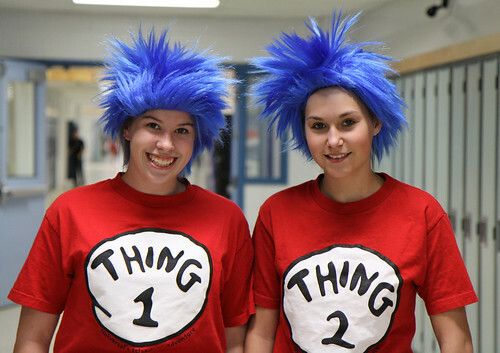 The week before Halloween was filled with activities for DHS students. 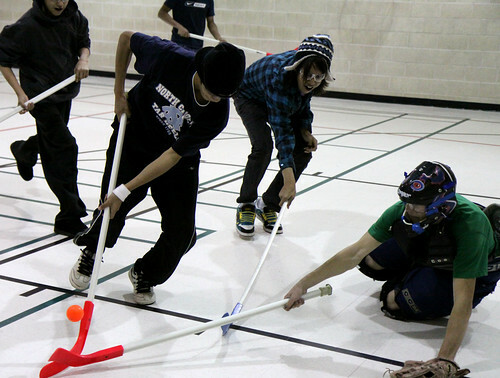 Mrs. Gardam’s leadership class organized a week full of events, including floor hockey and dodgeball, pumpkin carving and door decorating, and of course, Friday’s costume contest. The Pumpkin carving contest was won by Mr. Walsh’s class, and the door decorating prize was taken by Mrs. Griffith’s class. Mrs. Bullock’s class won the prize for having the most students dressed up. Mrs. Durocher had a special effects makeup artist in her class demonstrating techniques that are used to create realistic mock accident scenarios for emergency training. Her students had the chance to make their own severed fingers, puncture wounds, and lacerations. Mrs. Durocher's class pose with their "severed fingers"
The Eagle’s Nest Store held a “Guess the Weight of the Pumpkin” contest. Adrian Lizzi won the draw with a guess of 5129 grams. The pumpkin actually weighed 5213g. He wins a $10 gift certificate to the Eagle’s Nest. 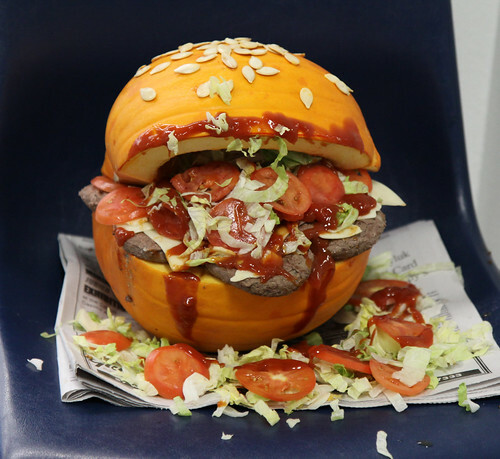 Mr. Walsh's class won the pumpkin decorating contest with the revolting "Hamburger Pumpkin"
Wednesday’s floor hockey game attracted a spirited group of players.